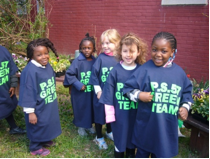 Do you want greener schools and healthier communities? 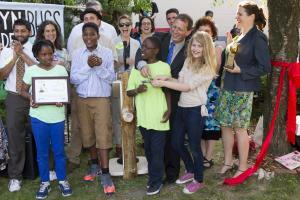 National Wildlife Federation’s Eco-Schools USA and ioby are leading the way. 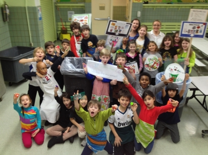 Powered by students, teachers, parents and principals, NWF’s NYC Eco-Schools are advancing solutions to reduce waste, conserve energy, create green spaces, and promote environmental education! 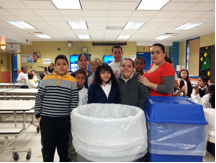 More than 60 percent of NYC Eco-Schools have increased recycling in their schools since implementing the Eco-Schools program; more than 50 percent have completed an environmental audit and created an outdoor classroom; and more than 40 percent have reduced energy use and reported better student engagement. Eco-Schools are doing amazing work to solve environmental and educational challenges, and to cultivate the next generation of environmental leaders! ioby believes that it should be easy to make meaningful change “in our backyards,” the positive opposite of NIMBY. 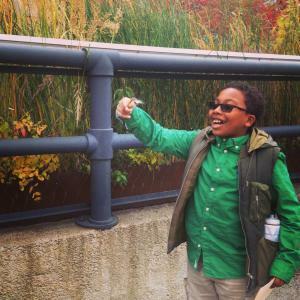 We support the leaders of projects that make schools and communities greener, healthier, and more livable, by providing an an affordable crowdfunding platform, fiscal sponsorship, and one-on-one customized fundraising coaching. 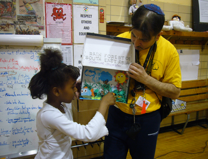 Leaders from NYC Eco-Schools have already raised over $40,000 on ioby! So what's your idea to make YOUR school greener? Need some cash to make it happen? Share your idea below to get started anytime. Once you submit your idea, an ioby Success Strategist will be in touch to learn more about your project, and help you create an awesome campaign page and effective fundraising plan. 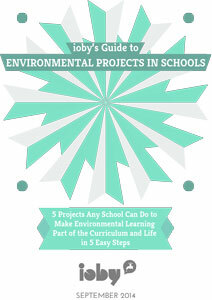 AND ioby will waive all platform fees if you share your NYC Eco-School project idea before Nov 30th! Want to learn more? View a recording of our recent webinar, Crowdfunding for Greener Schools, including case studies of successfully funded projects, the nuts and bolts of using ioby, and top fundraising tips. An outdoor classroom in proximity to the successful Clinton Garden will accommodate environmental education, health and access for students at our large urban high school campus. The greenhouse will allow Food and Finance High School students to cultivate the latest in science technology, sustainability and urban food production. Our partner is Cornell University! Our Green Team decided to create an Urban Wildlife Habitat, a garden filled with shade-loving, native species suitable for a variety of wildlife along with an area dedicated to decomposers and composting. 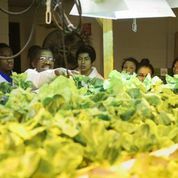 A sustainably designed East Harlem school rooftop greenhouse created to address the needs of a beleaguered zip code at the epicenter of diabetes, defiance, and despair. 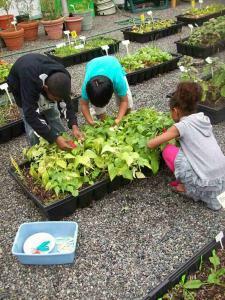 A hands-on science garden providing environmental science and nutrition education to an underserved urban public elementary school. 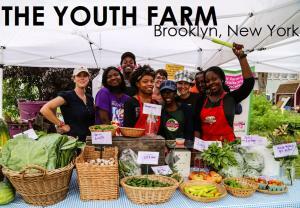 Help us grow up to the “garden” in our name! 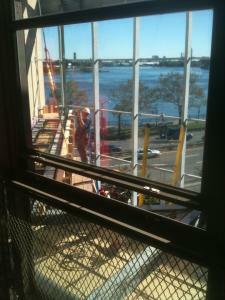 The Eric Dutt Eco Center at P.S. 6 needs a wall enclosure to keep the turtles in and the little ones out! 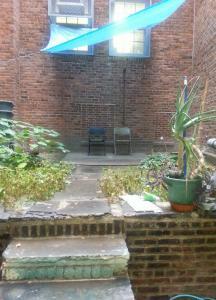 The Park East Green Team of Engineers wants to transform an underdeveloped, underused courtyard into a habitat for local species and garden laboratory. 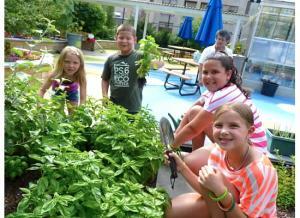 An essential, hands-on learning project to reduce storm run off and quench our thirsty garden! NWF’s Eco-Schools USA is a free program that can help schools reduce waste, conserve resources, increase environmental awareness, save money, and enhance student academic achievement. Eco-Schools USA provides schools with their choice of “Pathways” to sustainability, including topics such as: Climate Change, Energy, Consumption and Waste, Water, and Sustainable Food. Each Pathway includes a sample Audit, Action Plan, “Top 10 Tips” and curriculum resources for that topic. Once Pathways are completed, schools can apply for Eco-Schools Bronze, Silver and Green Flag awards, to get well-deserved recognition for their hard work to green their schools inside and out. Registered Eco-Schools get their very own dashboard pages where they can have fun keeping track of their progress towards Eco-Schools certification. They also get on-the-ground support from NWF staff, to help them implement the Eco-Schools program. Schools can register at any time to become an Eco-School. Questions about crowdfunding on ioby? Contact Ethany Uttech, ioby Partnerships Manager, at ethany@ioby.org.